Beautiful property with 600m2 in a privileged environment with panoramic views on a plot of 10 hectares with swimming pool. 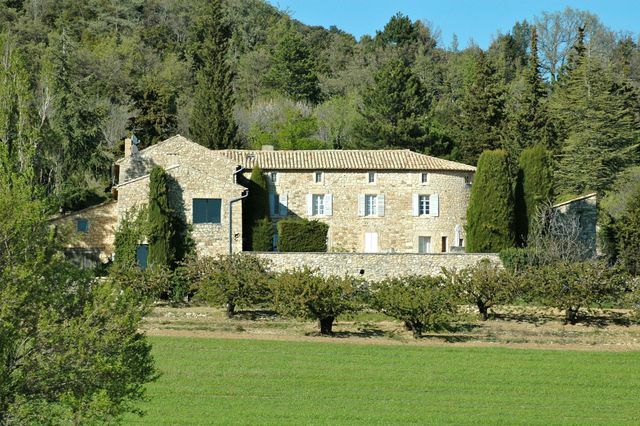 Bastide facing south, 3 floors with 600m2:- Entrance with original tiles. Office. Bedroom with bathroom en-suite and dressing (20m2). Lounge with fireplace (original tiles). Utility room/back kitchen. Dining room with fireplace (40m2). Guest toilets. Kitchen of 30m2. Staircase to upstairs, large lounge 75m2, large room of 88m2 with tiled floors. 2 bedrooms. Bathroom with bath, shower and toilet. Second floor: 3 bedrooms of which one has a fireplace. Separate toilets. Annexe building: Annexe with storage and space to convert. Garage with earth floor. Caretaker’s house of 45m2: Opposite the Bastide, ground floor has a lounge, dining room, kitchen. First floor has 2 bedrooms and a bathroom. Small lake (feed by a source). Swimming pool of 5x10m. 10 hectares, in wood, scrub land and agricultural land. Comfort: – Oil central heating – Ground floor stone floors – Original tile floors – 6000 liters water reserve – Fireplaces in the main rooms Contact us for more details.